Security issues such as confidentiality and privacy are still major concerns to organisations intending to migrate to the cloud. In many cases, there is also reluctance to outsource sensitive data due to lack of control over data storage and management. It is also important to ensure that vulnerabilities or attacks do not have a negative impact on cloud security and that applications continue to operate and provide a good level of service even during an attack. 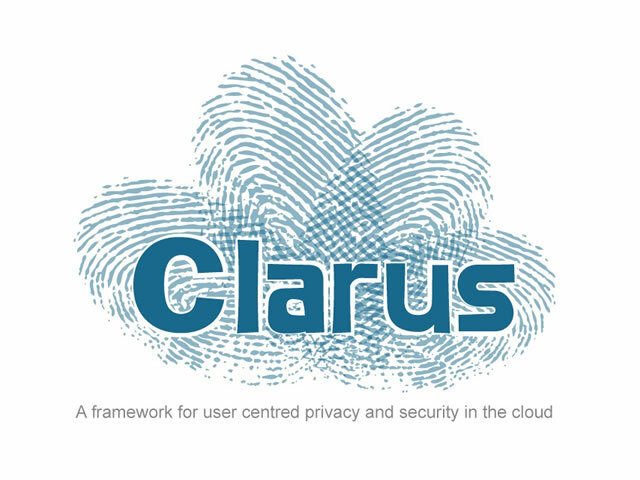 CLARUS will improve trust in cloud computing services by developing a secure framework for the storage and processing of data outsourced to the cloud that allows end users to monitor, audit and retain control of the stored data without impairing the functionality and cost-saving benefits of cloud services. From a standards perspective, Trust-IT plays a key role in analysing user requirements (public health data and geo-referenced data), security and privacy requirements, as well as in the architecture design, testing and validation. This role builds on earlier involvement in standards work and will significantly increase our expertise in privacy and security. Trust-IT also leads dissemination and exploitation with its proven track record in results-driven strategies. This include the communication plan, including the promotion of standards worldwide. We contribute to the exploitation of CLARUS and business modelling. CLARUS has received funding from the European Commission under the 1st Competitive Call of Horizon 2020.